[PDF] Easy Wordpress Tutorial For Beginners: Easy Wordpress Handbook With Screen Shots (Wordpress Made Easy) (Skills for the Internet 1) | Free eBooks Download - EBOOKEE! Description: A word from the author (excerpts) WordPress made easy for everyone - in this easy to follow, step-by-step guide. This easy Wordpress handbook is full of screen shots to make sure you know exactly what the next step is in your process of gaining an online presence. Even though this was written as a WordPress for Beginners guide, many folks who consider themselves not total newbies will get some great tips about excellent suggested plugins to install. This WordPress Made Easy guide is written to help you save money by building your own website or blog. There is no reason that you should pay for WordPress web design, when you can do it yourself. There are a number of tips and tricks in this WordPress handbook to help you get the most out of your new site. You will see why so many people are using the easy Wordpress platform for their sites. 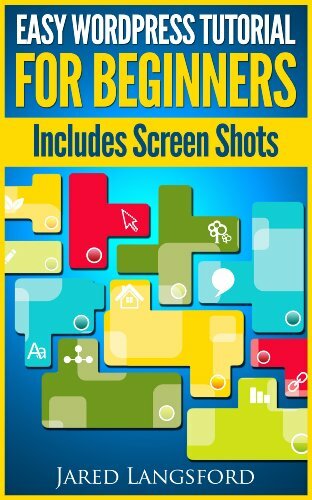 No comments for "[PDF] Easy Wordpress Tutorial For Beginners: Easy Wordpress Handbook With Screen Shots (Wordpress Made Easy) (Skills for the Internet 1)".